It’s the third installment in the excellent Classroom series, which features free expert training in well-designed sessions with high-quality production values. 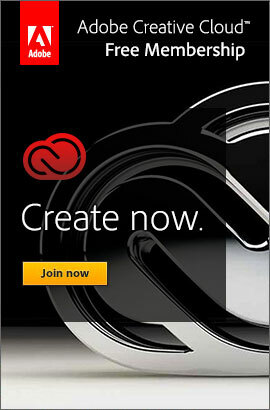 Previous classes have been an in-depth Dreamweaver CS5 tutorial and a terrific After Effects CS5 tutorial. This latest presentation details how to design your interfaces in the most effective way with the behavior of the user in mind. Some of the topics include crafting effective navigational systems, creating a liquid layout, how to best deliver images and media, designing forms and dialogs to smoothly guide users through a positive user experience, and more. The best practices covered here will help you make better design decisions in your work going forward. In all the excitement last week with the hundreds of free online sessions from the Adobe MAX conference, there was a brand new product debut that should get just as much press. Adobe launched a free preview of their new Project ROME content creation and publishing applica­tion for print, photo, presentations, animation, and web. And this is a pretty cool tool if you haven’t checked it out yet. The streamlined interface with plenty of templates helps you get started quickly, and the “all-in-one” nature allows you to easily borrow and repurpose content across projects or from the cloud. Adobe this week launched a new initiative to bring some of their best and most favorite font faces to wide use for textual content on virtually any website. The new Adobe Web Fonts offering is designed to work seamlessly with the browser and computer of any site visitor, and thus allows website developers to move past the limitations of the narrow set of web-safe fonts we have been using since the web began. Some of the over 120 200 typefaces being made available are Myriad, Minion, Trajan, Chaparral, Text Pro, Cooper Black, News Gothic, Adobe Garamond, and Bickham Script. Previously, the only consistently certain way to display these font faces in portable fashion on websites was via static images. For standard textual content, website developers needed to stick to a small set of browser-safe fonts guar­anteed to be available on all platforms (both Windows and Mac systems) – like Arial, Times, and Verdana. But now you can display your website text in your choice of many fonts and have it look great while being usable, flexible, searchable, editable, and indexable. 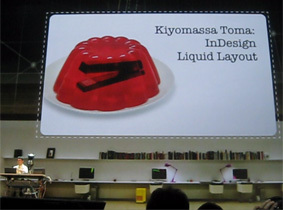 This really is going to change web design.